High winds mark many regions of North America. The conventional internally braced whirlybirds may easily get damaged in such weather conditions. 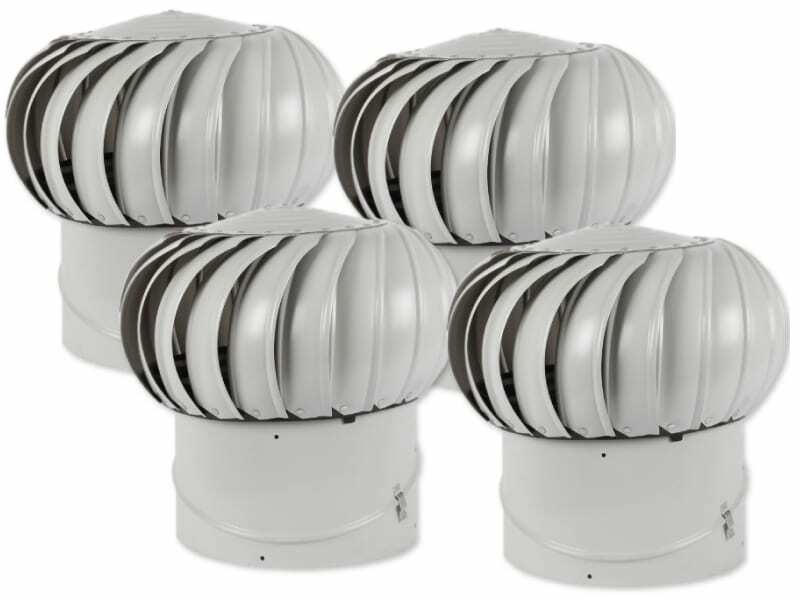 For this reason, an externally braced whirlybird is a better option for you if your rooftop has consistently heavy winds. Home Depot stocks a number of high-quality externally braced whirlybird models. 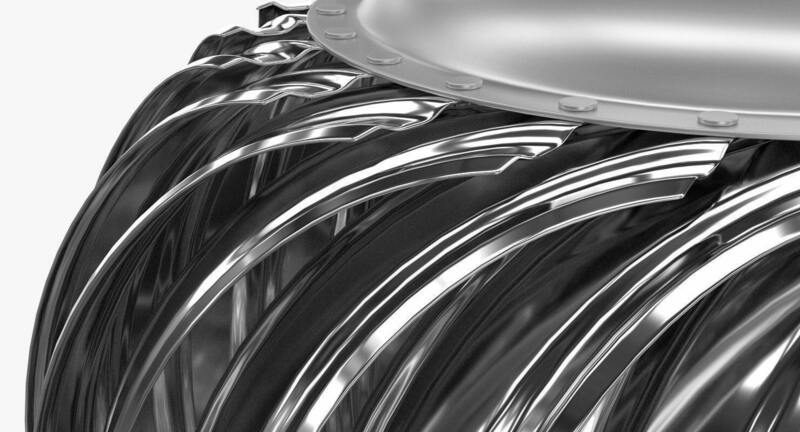 One of these is this 12-inch turbine vent that comes constructed from aluminium. Aluminium construction ensures that this model is light-weight yet fairly sturdy. To add to its strength, the external braces offer extra vibration support to ensure steady and stable rotation of the whirlybird in high winds. 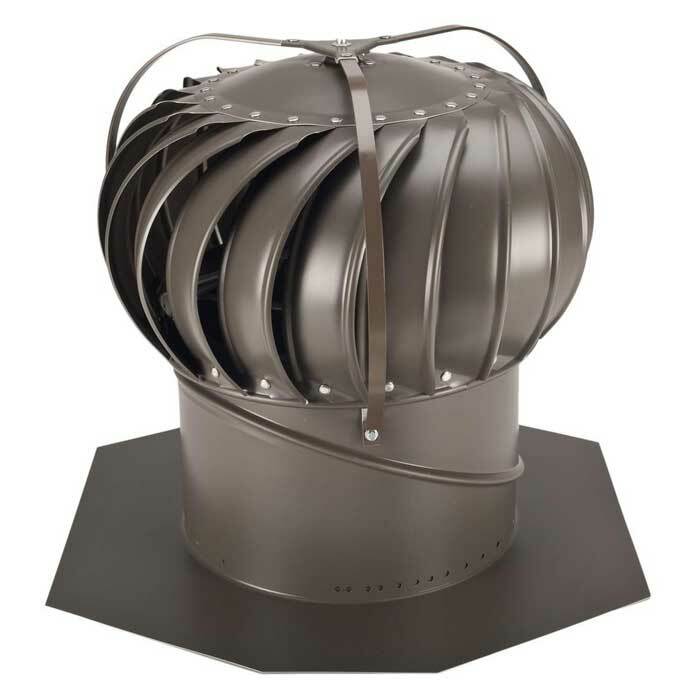 The 12-inch throat size of this ventilator is perfect to ventilate the roof space of small to medium houses. During summers, the turbine vent creates a suction effect to remove the hot air trapped near the ceiling. This ensures cooler interiors and reduces the load on the air-conditioning unit of your home, resulting in lower energy costs. In winters, this whirlybird can effectively remove the moisture-laden air near the ceiling. By removing this air, it prevents winter ice buildup and saves the insulation, shingles and other components of your roof from incurring any damage. 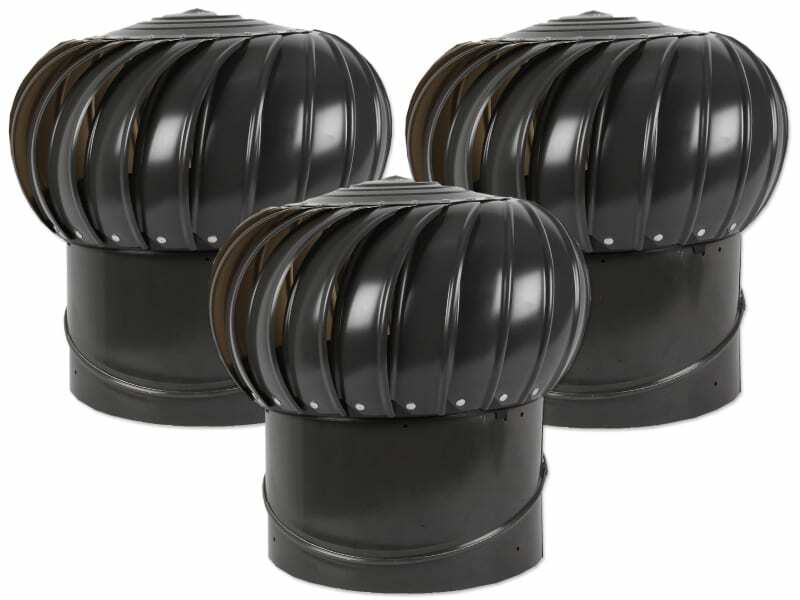 This 12-inch vent comes with a weathered bronze finish which makes it an attractive addition for most modern rooftops. It has been manufactured by Lomanco and is backed by a lifetime guarantee of the manufacturer. So if this vent runs into any mechanical failure, you can send it back to Lomanco for a replacement. 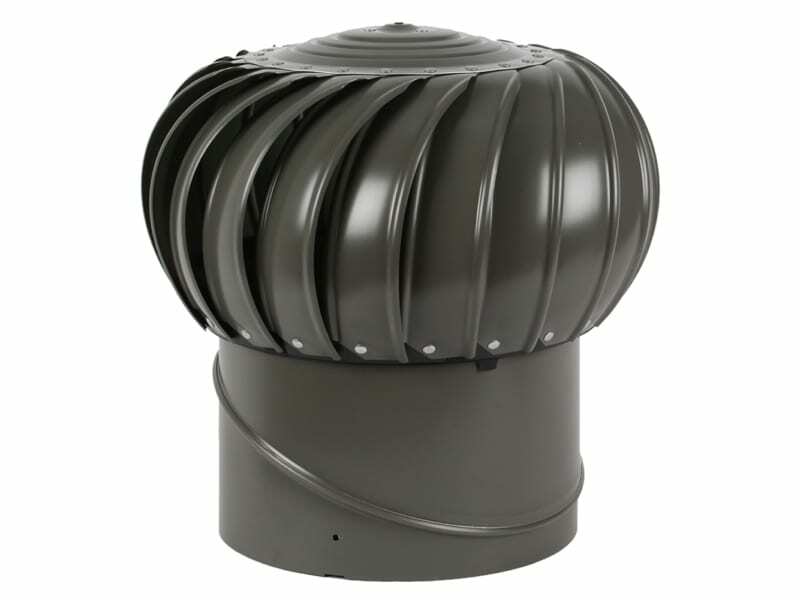 Home Depot offers this vent with a roof pitch gauge to accurately measure roof pitch. 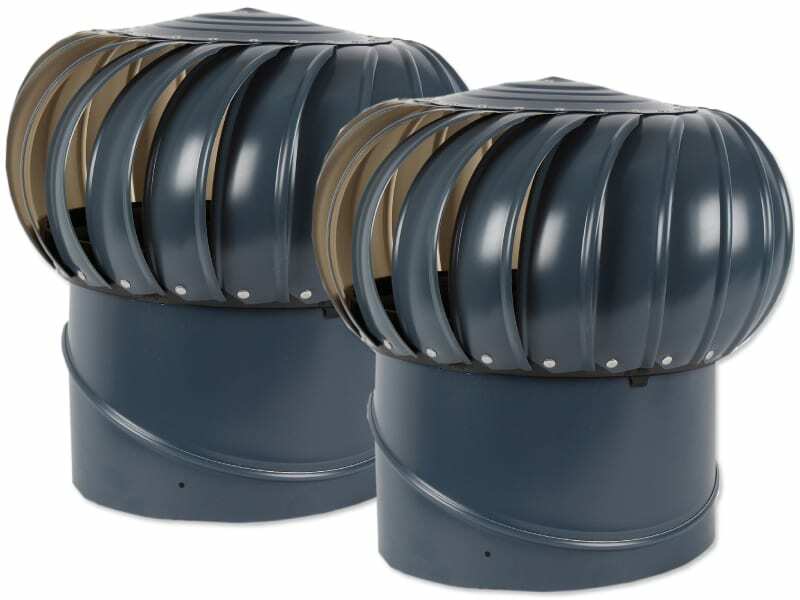 The vent head comes with a vari-pitch base which is easily adjusted to a 12/12 roof pitch and is suitable for most roof types.